The San Francisco Jewish Film Festival (SFJFF), presented by the Jewish Film Institute, is the largest and longest-running festival of its kind and a leader in the curation and presentation of new film and media exploring the complexities of Jewish life around the world. Presenting more than 65 films and 135 individual screenings, performances and events in five Bay Area cities (San Francisco, Palo Alto, San Rafael, Oakland, Albany), SFJFF attracts more than 40,000 filmgoers and industry professionals to its 18-day program. Wajib (Annemarie Jacir 2017) SFIFF preview release 5 Aug.
Last edited by Chris Knipp; 07-21-2018 at 08:56 PM. 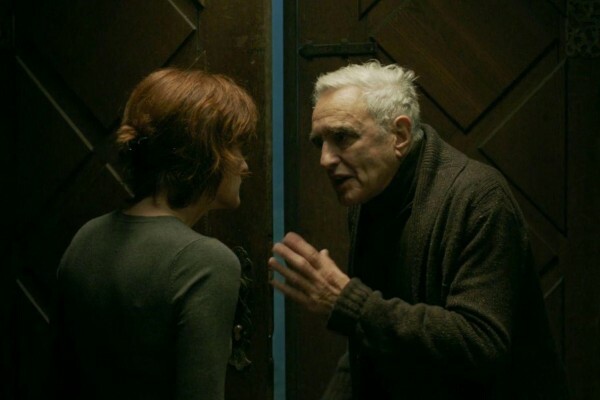 Éva Gárdos' period thriller Budapest Noir is a bit timid at first. It hits its stride half way through when Zsigmond Gordon, the reporter who operates like a homicide detective, gets knocked out by the arm of a manikin wielded by Skublics, a photog who snaps prostitutes, for going too far - detecting connections high up. The starting point is a classy young dame on her uppers who charges dinner to Gordon, then turns up dead. She is a prostitute, two months pregnant, killed with a lethal kick in the stomach. But who is she, who did it, why? We will find out, and it will have something to do with Hungary's rapid movement toward antisemitism and fascism, and the fact that Fanny, AKA Judith, was in love with a boy who was decidedly Jewish. The book by Vilmos Kondor this movie is based on launched Gordon as the lead in a series of detective novels. He has an on-and-off girlfriend, Krisztina (Réka Tenki), a photographer. Last edited by Chris Knipp; 07-20-2018 at 09:31 AM. They took their lumps, not dictating the terms or content of recording sessions or records and willing to survive if a record didn't sell well. (Eventually some did sell, very well indeed.) It's hard to imagine what the rank and file of us would have, we who love jazz, from the late Forties up till the Eighties, were it not for Fred and Frank and the artistic freedom they provided to some of the greatest geniuses of jazz, to grow and experiment and set down their best ideas. Besides the voices of Shorter and Hancock, Lou Donaldson is an oldtimer, present nearly at the conception of Blue Note bop recordings but a musician of great longevity, is frequently heard from as a lively independent talking head. We also hear from time to time throughout from Don Was, current president of Blue Note Records - which has died and been reborn several times since the departure of Alfred Lion and Francis Wolff. And we hear from hip hop musician and producer Terrance Martin, a current force in the new Blue Note Records, who shows how much jazz, and Blue Note jazz in particular, is a part of hip hop music. I didn't know this, and have a little trouble believing it. But assuming Terrance Martin is right, it's another proof of the eternal youth of this amazing label. And the longevity of - some - jazz greats as well as the energy of today's jazz are shown when Hancock, a youthful seventy-something, and Wayne Shorter, a youthful eighty-something, join young Blue Note leader Robert Glasper and his group for a present-day recording session. Last edited by Chris Knipp; 07-20-2018 at 04:07 PM. 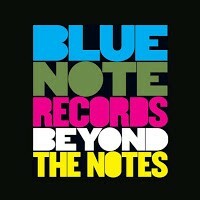 There are many classic Blue Note albums on YouTube now. You can hear all of Thelonius Monk's recordings with the label here. 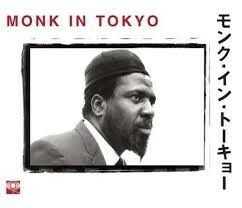 If you cue in "Monk in Tokyo," you can get other cuts from the album on YOuTube. See here Wikipedia Monk in Tokyo. The film notes, the other labels would not record Monk. Last edited by Chris Knipp; 07-20-2018 at 12:07 AM. Lacrosse was originally a Native American game but it's become very much something preppy white boys do, especially in Maryland. The American Lacrosse Association however, makes it a practice, we learn to provide free equipment to needier schools to promote the game. They supplied such supplies to Charlotte Secondary, and at the request of Teddy Walker, head of athletics, relayed by Bobby Selkin's wife, Bobby came to coach the sport. The program begins in 2015, more as a lacrosse club, not a team. The boys he coached have never played lacrosse. But Bobby soon sees that he has some talent on his hands. And in a couple of years of hard, continual work, the lacrosse team at Charlotte Secondary that Bobby Selkin built beat teams made up of players who had been brought up in lacrosse all their lives. This is a coming-from-behind sports success story, and also the story of a burnt-out ophthalmologist who found a new love and a new family. Crossroads has some scenes of parents. We get to know the personalities of key players, handsome and charismatic as they are, and capable of great end-of-game speeches to teammates. But we do not delve into the athletes' family lives quite as Wrestle does. Lacrosse isn't as clear or dramatic a sport to watch as wrestling. On the other hand, the coach-team relationship here is more loving and intense. In Crossroads Bobby brings the players into his big new house and treats them just like family. He loves them, and he says so. The film shows this. 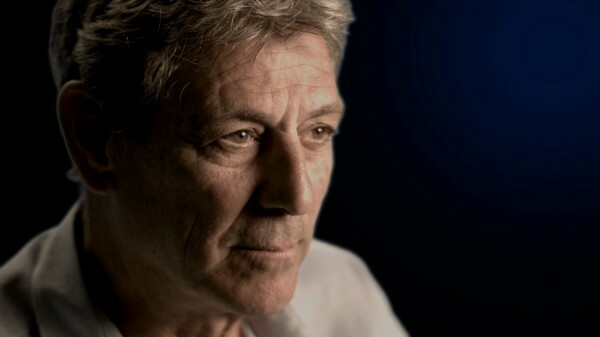 Bobby's success with the boys is impressive, and so is his passion. 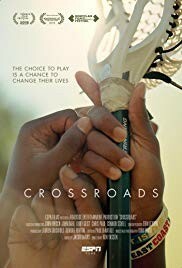 Crossroads, 76 mins., debuted Apr. 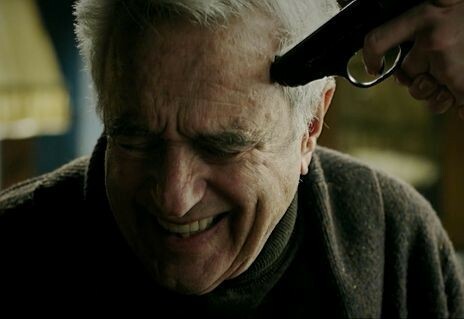 2018 at Tribeca, also playing at other festivals. An ESPN Films release. Also playing as part of the Tribeca/ESPN Sports Film Festival, and at Nashville. It was screened for this review as part of the San Francisco Jewish Film Festival, playing at CineArts, Palo Alto Sat. 21 Jul. 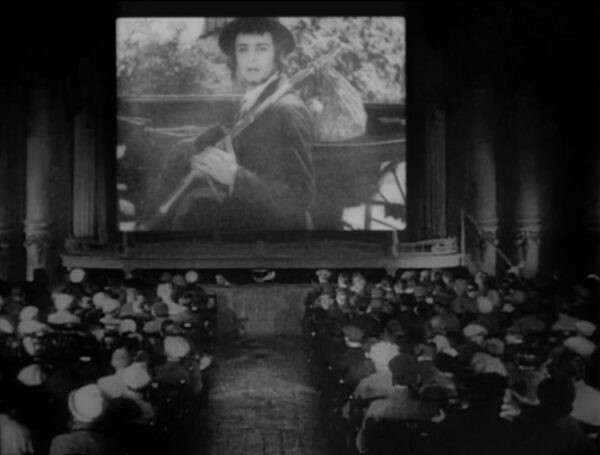 at 4:15 p.m.; at the Castro Theater, San Francisco, Sat. 28 Jul. at 4:00 p.m.; at the Albany Twin, Albany, Sun. 29 Jul. at 4:45 p.m.; and at San Rafael, Sun. 5 Aug. at 2:05 p.m.
Last edited by Chris Knipp; 07-20-2018 at 06:34 PM. There have been several boldly revealing Israeli documentaries, namely The Gatekeepers (NYFF) and The Law in These Parts (SFIFF). There was also The Lab (SFJFF), an eye-opening film about Israeli's huge arms production and sales. This one is about Israel intelligence. Like those others, it relies on testimony by retired persons, in this case former operatives of the Mossad, the spy organization. Again this is mostly talking heads (with some archival footage and suggestive imagery), but the filmmakers get information that for a mainstream documentary may be new. Last edited by Chris Knipp; 07-21-2018 at 09:39 AM. Anders'Army was a way that many Jews got to Palestine, but the film doesn't mention this. We've been hearing about how splendidly "The Polish count," "il conte polaco," lived in Rome. Dark films of a Rolls tooling through Rome and words from Waszyński's former chauffeur hint at it, and Italian friends who speak of how elegant he always was, surely could have been a prince. At a later more climactic moment the chauffeur, now perhaps a little too portly to get behind the wheel even of a Rolls, describes drives around from cinema to cinema or cafe to cafe of Rome with his boss chanting "cerchiamo il dybbuk, cerchiamo il dybbuk" (we're searching for the dybbuk, searching for the dybbuk). It is almost too made, too good to be true. Last edited by Chris Knipp; 07-22-2018 at 01:23 AM. As Daniel Engber says in a review for Slate,"Three Identical Strangers Has a Long-Lost Twin" - another film that covers the same ground. This "twin" is The Twining Reaction. Both films are documentaries about the misguided - to put it politely - study set up by Viola Bernard and Peter Neubauer, that was supplied with infants by Louise Wise Services, twins, and in one case triplets, who were separated at birth and put up for adoption, then studied, without the twins (or triplets) or their adoptive parents knowing they had identical siblings. Recently Tim Wardle's Three Identical Strangers was released and has gotten a lot of publicity. It trns out Wardle's film has a "twin," started by Lou Shinseki at about the same time, with less funding, a shorter film (55 minutes instead of 96), finished and released a year earlier than Three Identical Strangers' January 2018 Sundance debut. An ABC TV feature tells more about Shinseki's explorations of the story. Last edited by Chris Knipp; 07-25-2018 at 10:56 AM. Last edited by Chris Knipp; 07-25-2018 at 04:47 PM.